Who were the Jaredites? Of what race were they? What did they look like? 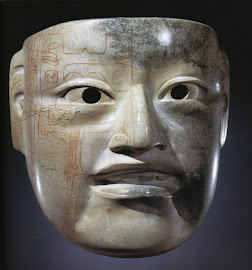 In 1975 Alexander von Wuthenau wrote a book entitled Unexpected Faces in Ancient America: the Historical Testimony of Pre-Columbian Artists. In this book he analyzes the faces of the ancient peoples of Mesoamerica as illustrated in the figurines and artifacts of their civilization. 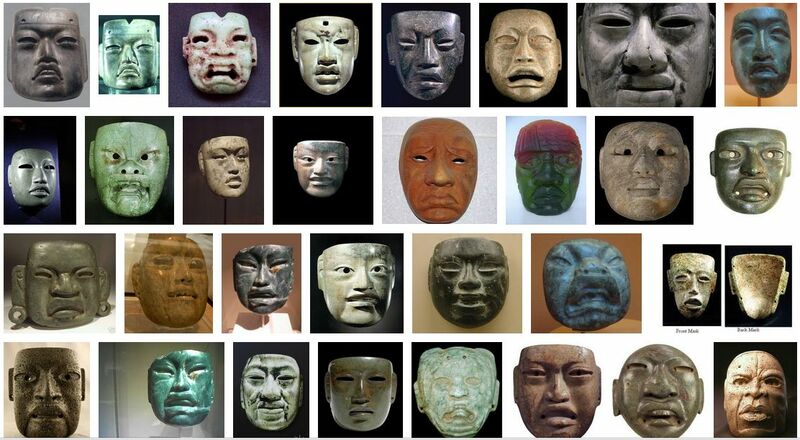 He concludes that the faces depicted do not correspond with the faces of the native races of Indians among us today. He feels that they were of a different racial background. 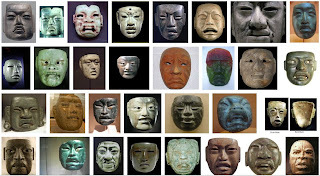 One feature that can be noted is that many of these faces have a mongoloid appearance. This is a term that is currently out of favor, however, in our case it is very helpful in describing the racial background of the Jaredite peoples. This characteristic also suggests a relationship with east Asian peoples which warrants further study. 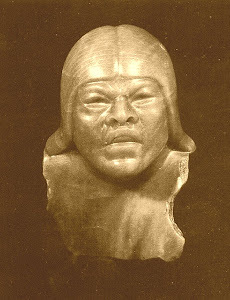 A different type of face is illustrated by the giant stone Olmec heads found in the so-called "Olmec Heartland" along the gulf coast of southeastern Mexico. 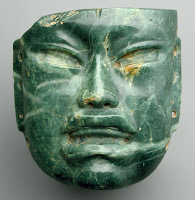 These are the type of heads which will be shown in a Google search for "olmec heads" although there are vastly more examples of the jade masks in existence. These are huge sculptures of negroid appearing individuals. 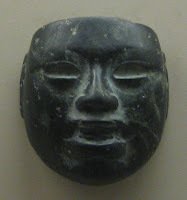 About 17 of this type of sculpture have been found. 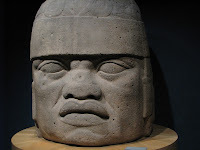 They are felt to have depicted Olmec rulers of that particular area. 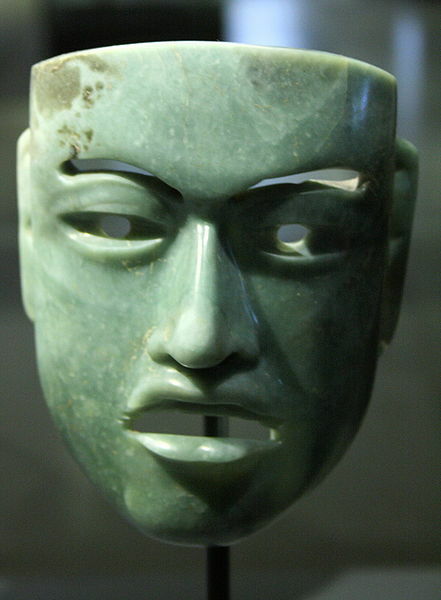 They seem to represent a completely distinct group of people when compared to the Olmec jade masks above. 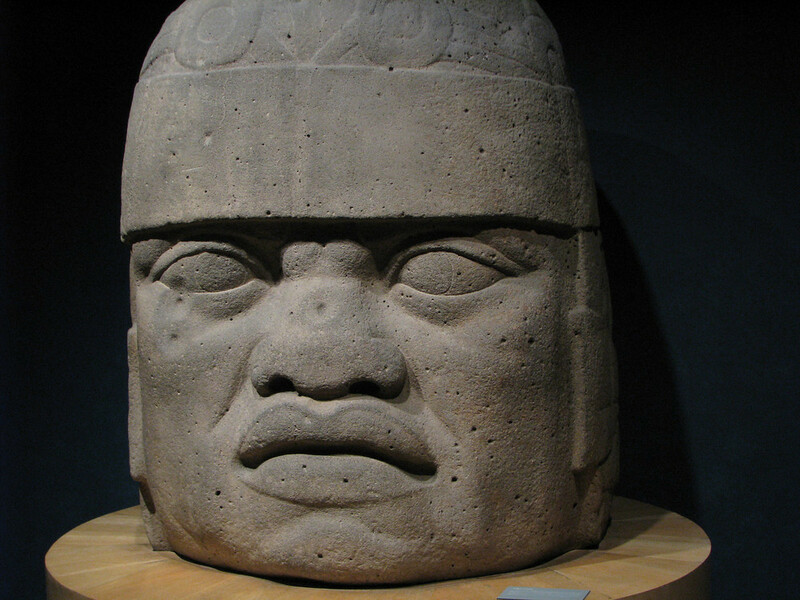 So what can we conclude from the study of these Olmec heads? I suggest that the original Jaredite migration consisted of a mixture of all the different racial groups present in the Sumerian society from which they originated. Jared, and his group of friends, could possibly have included Canaanites, Semites, and Japhethites. The main Olmec (Jaredite) body would have been a blend of these various nationalities. 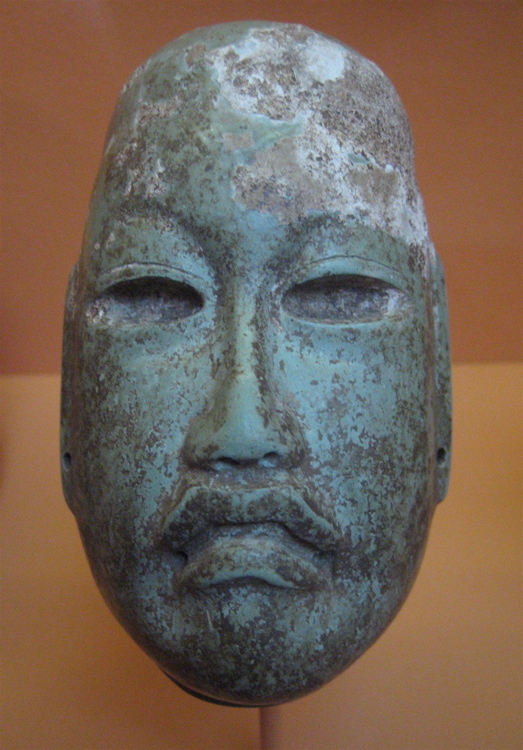 However, the gulf coast individuals seem to represent a concentration of the Canaanite faction. 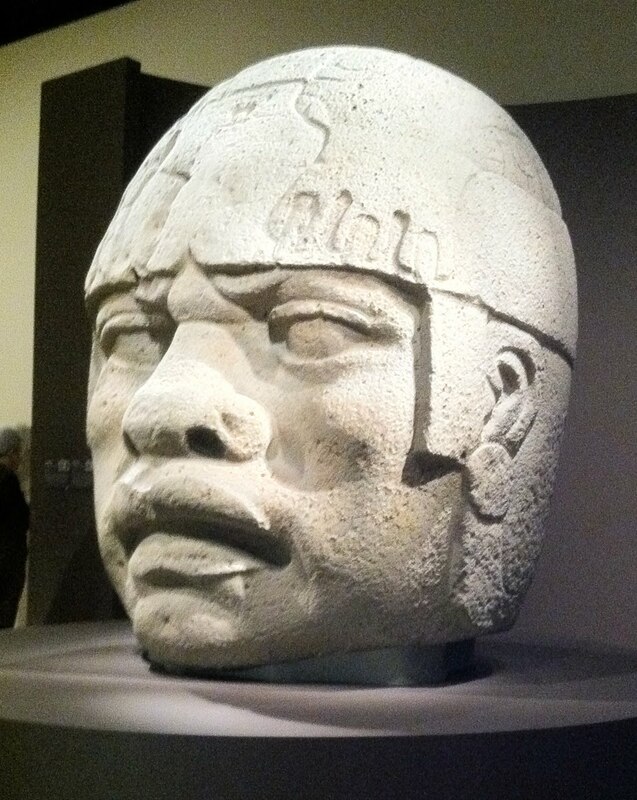 Some have concluded from the Canaanite presence among the Olmec, that there was a migration from Africa to the Americas. However, I do not believe that this was the case. The Canaanite presence in Sumer was pervasive. The rulers were Canaanites, as well as the dominant and elite classes, so a Canaanite presence among the Jaredites is to be expected. In a future blog I will discuss the racial background of the Jaredites in more detail.